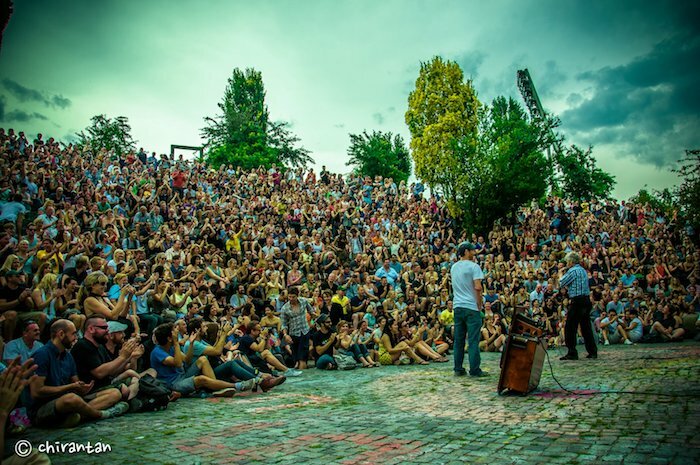 A great advantage of the city Berlin is the fact that you can eat in a restaurant for a very reasonable price. Where you will pay at least 15 Euro for a main dish in cities like London, Amsterdam and Kopenhagen, you can easily have a proper meal for about 7 Euros in Berlin. And we are not talking about real nice food here. In the summer it is extra nice to get out of your apartment and eat somewhere with friends or family. 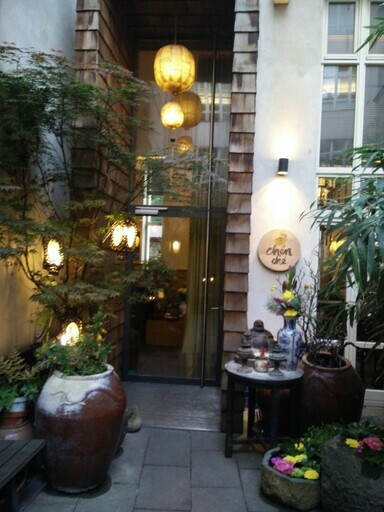 It is especially great when the restaurant has a large garden or terrace like Chén Chè. 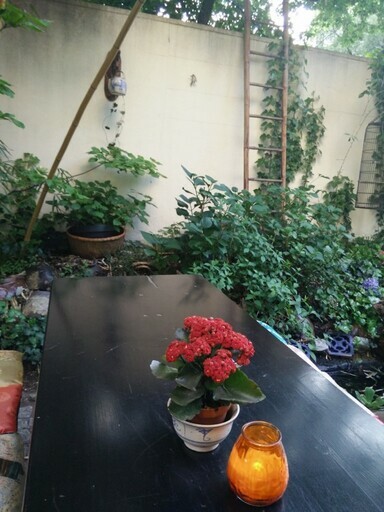 As you can see on the photos, the garden of this Asian restaurant is decorated with plenty of plants + flowers and the atmosphere is great. Chén Chè has an extensive menu with different types of soups, curries and plenty of other recipes. Because they are using Asian ingredients like lemongrass, ginger and nuts the dishes all taste unique and fresh. 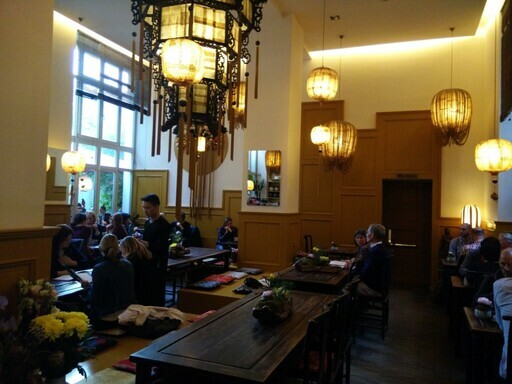 Besides that the food will be served in a stylish way and the service is great (especially for an Asian place). 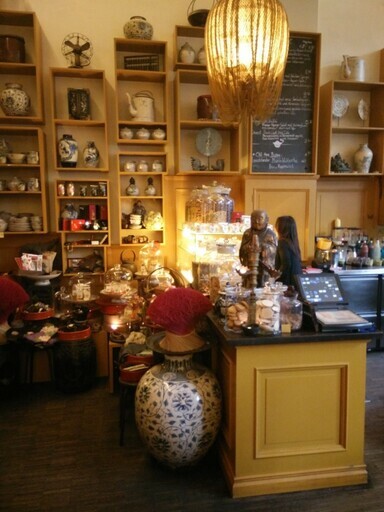 Because Chén Chè is also an Asian Teahouse, you can order a broad selection of different types of teas. 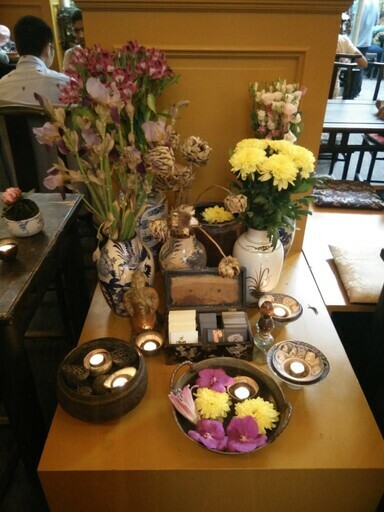 On the website of Chén Chè you can read about the 800 years old tea-culture from Vietnam which has been brought to Berlin. Inside in the restaurant you can also buy many different types of tea so you can enjoy these special ingredients at home as well. The Asian restaurant Chén Chè is located exactly between the U-Bahn stations Rosenthaler Platz and Weinmeisterstraße. For this reason the restaurant can be reached by food from either one of these stations and also from Hackisher Markt (if you do not mind a walk). 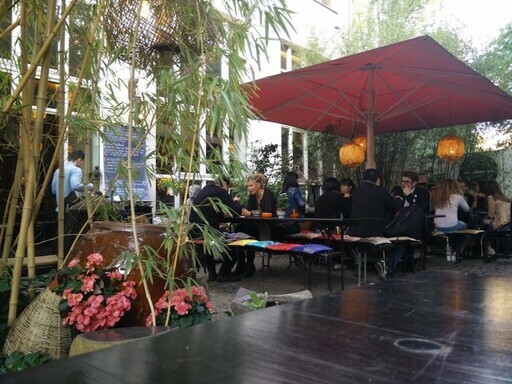 The address is Rosenthaler Straße 13 and in the summer it is best to make reservation if you want to sit in the garden.